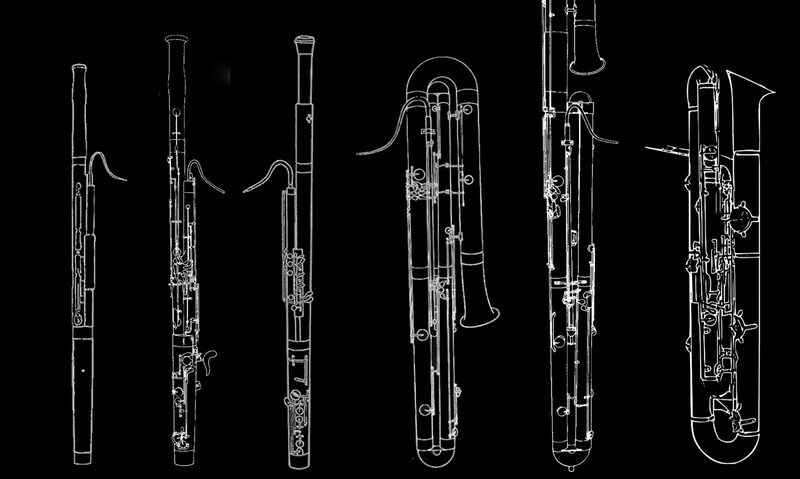 The Australian period bassoonist Simon Rickard has acquired a Baroque Contrabassoon for a production of Handel’s Theodora. The Pinchgut Opera has produced a few videos of Simon demonstrating the new instrument. He sounds fabulous and I wish I could attend! 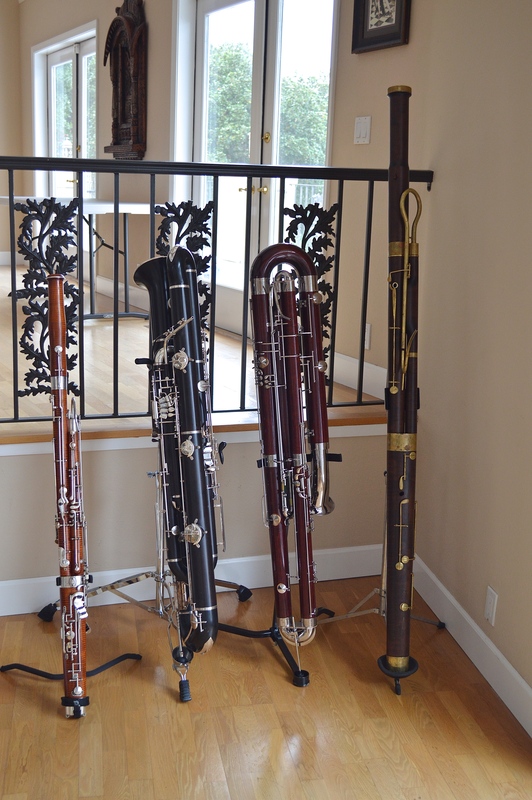 A few months ago I worked on a project that required a romantic era contrabassoon! The basis of the project was to track the development of the contra over time and play some of the music written for each instrument. 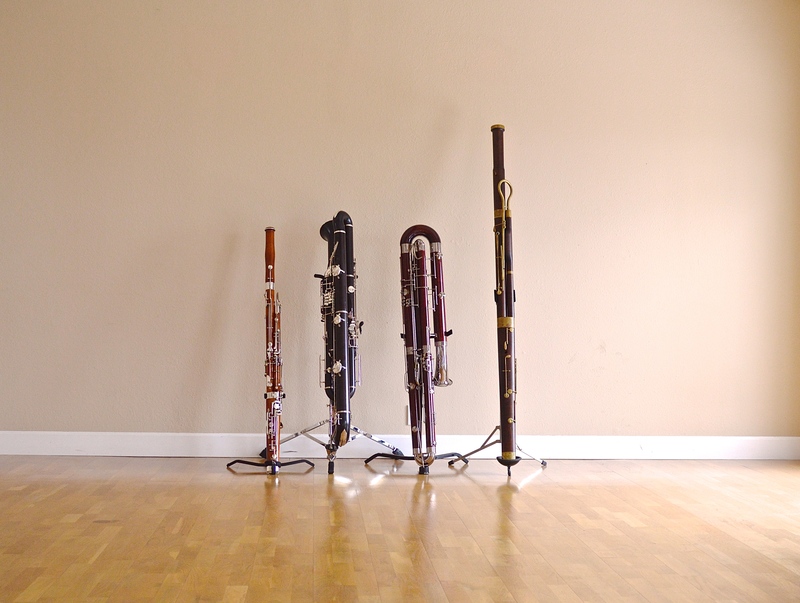 Here in the Bay Area we are very lucky to have David Granger who is a period bassoon expert. And he was generous enough to let me use one of his period contras for this project. Although I ended up getting in a few practice sessions on it; I found that I’m not a great period player, and this instrument has much more potential than what I could perform. I was able to play some Beethoven and Brahms on it but I never was able to get a high Ab which is in Brahms’ 3rd Symphony. 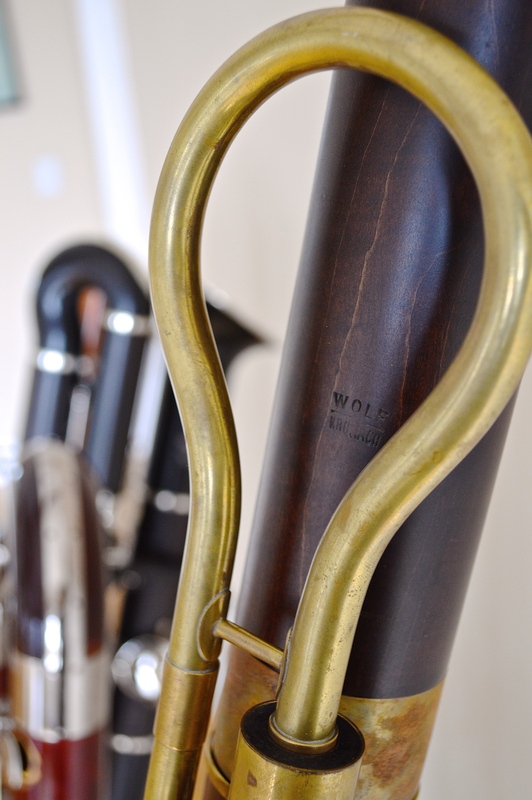 Both of David’s period contrabassoons were made by Wolf in the style of the Viennese contras. This is a unique instrument because it can be tuned to A=415 or 440 with the use of two different lengths of bocals. 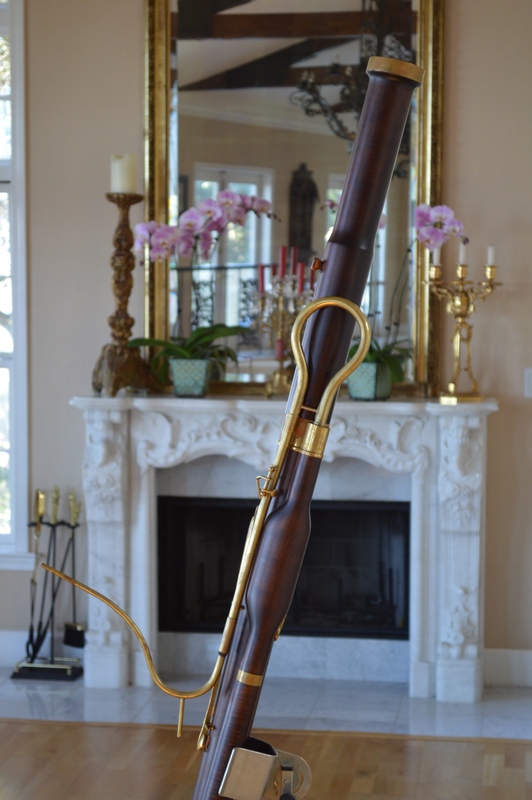 The bocal looks similar to a bassoon bocal but has a drain and is upside down when assembled with the crook. When I practiced different instruments in the same practice session I was getting frustrated with the Romantic instrument. I liked it on its own, but if I played a modern instrument and switched back to romantic then it seemed so unstable and difficult to play. 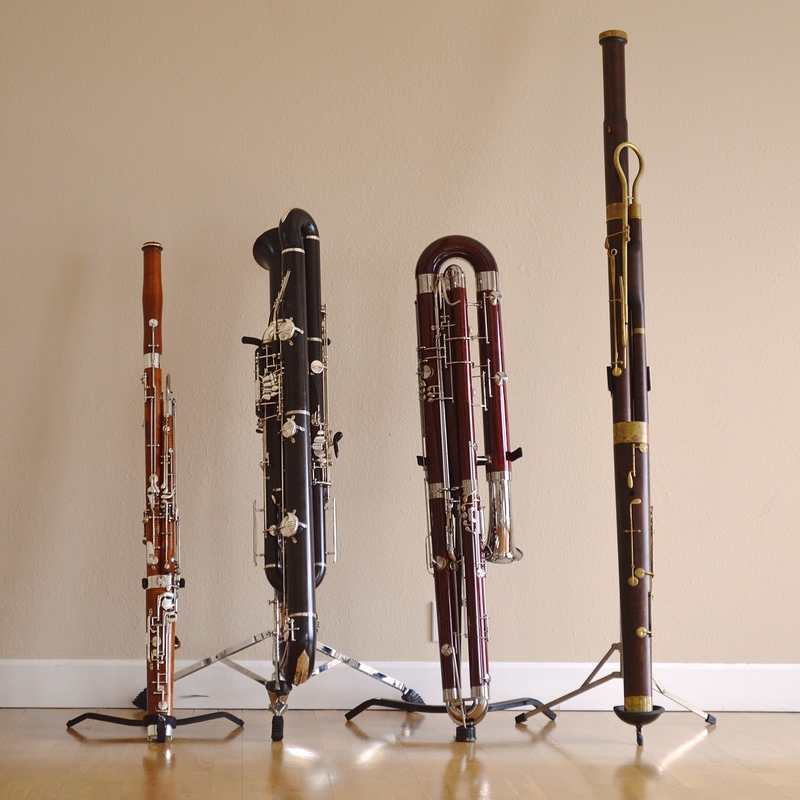 Period bassoons in general have a less focused sound, and so I’ve never gotten into performing on them. 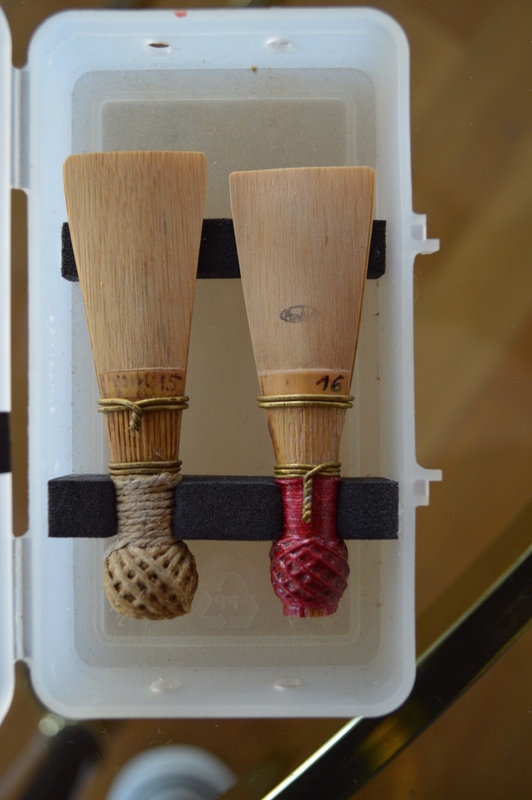 The reeds here are supplied by Wolf and were made by Stefan Pantzier I tried my hand at making a few and they turned out okay. The shape is similar in dimensions to the Contraforte C2 shape but with a shorter tube. The thing I didn’t try was adjusting the gouge to something more appropriate to the era. In the time before gouging machines people gouged by hand and purposefully gouged the center thinner. This meant less work had to be done in profiling and finishing a blank.